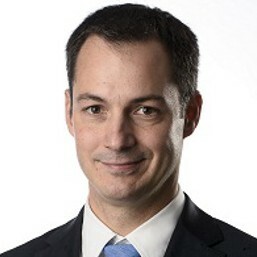 Alexander de Croo is a Flemish liberal politician, economist and businessman. He currently holds the office of Deputy Prime Minister of Belgium and Minister of Development Cooperation, Digital Agenda, Telecom and Postal Services. From 2009 until 2012, he was party leader of Open Flemish Liberals and Democrats (Open VLD).